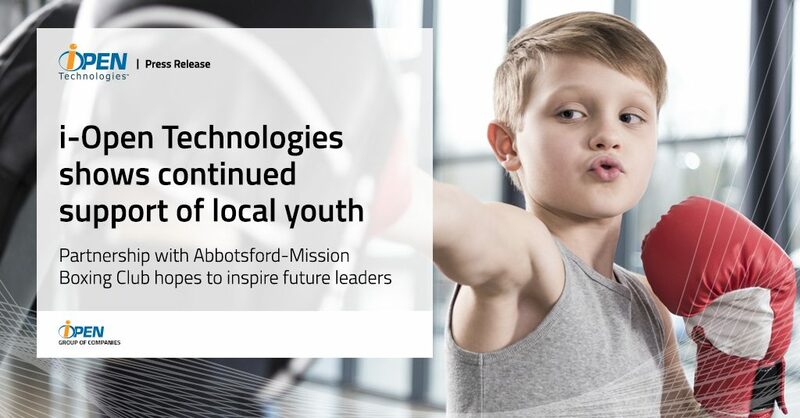 Mission, BC, July 24, 2018 — The i-Open Technologies management team is proud to fund a new boxing program targeting at-risk-youth in the Fraser Valley through a partnership with Dale Gatin and the Abbotsford-Mission Boxing Club. i-Open Technologies believes that in order for at-risk-youth to succeed, their energy and focus must be applied towards something meaningful, including, but not limited to, education, arts, and sports. i-Open’s newly defined initiative, which began in the spring of 2015, aims to create a culture for at-risk-youth to contribute to their community by allowing them to be part of something greater than themselves. Classes will be held in the evenings, allowing students to fulfill their academic responsibilities during the daytime. The program aims to instill confidence, happiness, dedication, and discipline among youth, encouraging them to contribute value to their communities through achievement in sports. Our goal is to provide a positive atmosphere for youth and adults by teaching Olympic Style Amateur Boxing. Individuals learn to develop a strong work ethic, self-control, discipline, physical conditioning and a positive way for dealing with the stresses of day to day challenges. Our boxing program consists of cardio, circuit training and core strength training. We teach Olympic style boxing. We have beginners to National level competitors in our gym. Our gym is family oriented. Our program is for ages eight and up. Although boxing is an individual sport, we all work as a team in the gym.